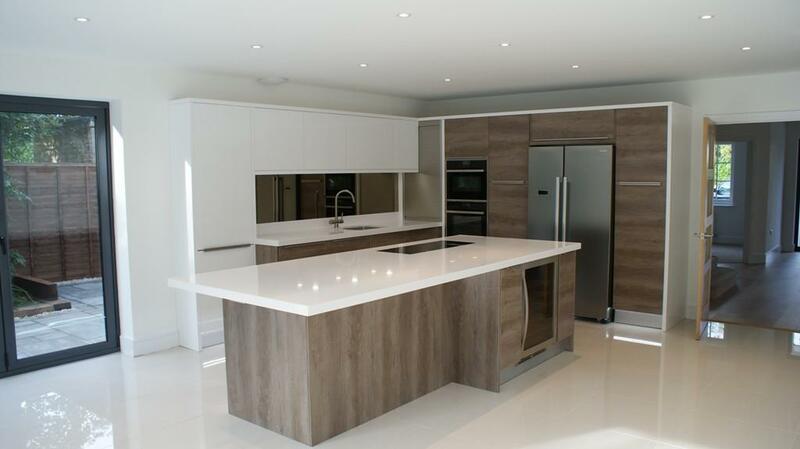 Once you have decided that your kitchen needs an updating, the next step is to simply call us. Our sales staff will talk you through the steps and book a home consultation with you. There they will talk to you about your kitchen ideas and guide you to choosing the best kitchen to meet your style and budget. 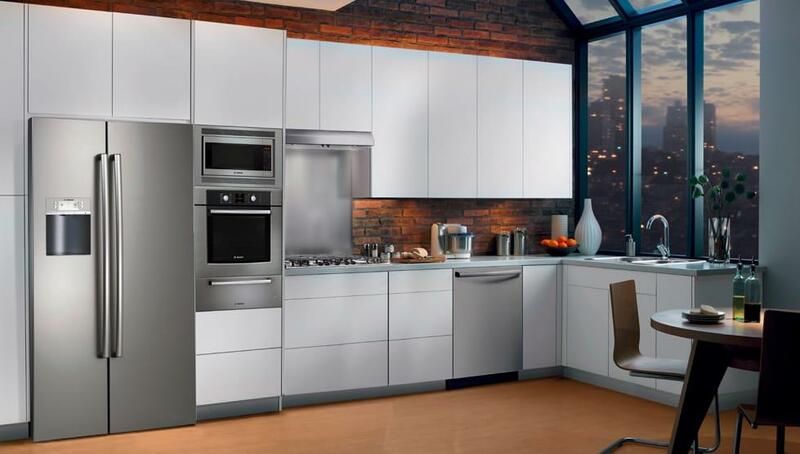 After choosing your style of door and the colour you want, the sales team will measure the kitchen cabinet dimensions and give you your quote right on site. So you found the perfect new door style and colour for your kitchen cabinets and discovered you can get your new kitchen refaced including resurfacing countertops for a fraction of the price of a whole new kitchen. The next step is simply signing on with us and we take care of the rest. In a couple of days an installer will call you and set up a first meeting to measure all the doors and drawers. Next he places the order and the ball is rolling! Once the material gets shipped to us the installer makes one more appointment with you for the installation itself. 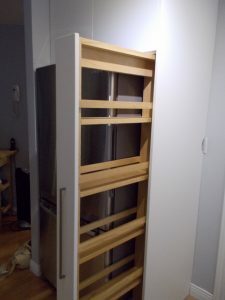 The installations usually take 2-3 days depending on the size of the kitchen. And there you have it…your new kitchen in 3 easy steps! 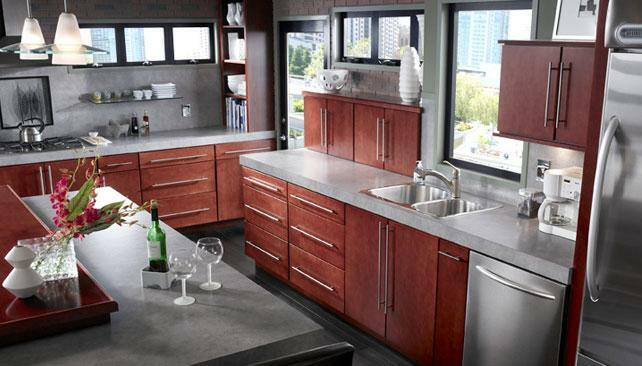 Cabinnova Kitchens has a large selection of colors and styles for you to choose from. Everything from the practical popular styles of our Thermofoil editions to the elegant Woods editions. And don’t forget to check out the all new Acrylic brand that’s forming a new trend throughout Vancouver. You can see our product line in the Door Styles and Colors tab. Why stop with just your kitchen. Let us reface your bathrooms too. Updating those old 70’s style bathrooms is just as easy as redoing your kitchen. Ask the sales staff to give you a quote. Let us help you design a new island for your kitchen, finished in the style and color to match your kitchen. If you are thinking of replacing your old countertop, we have a large selection of Quartz, Granite or Arborite countertops to choose from. 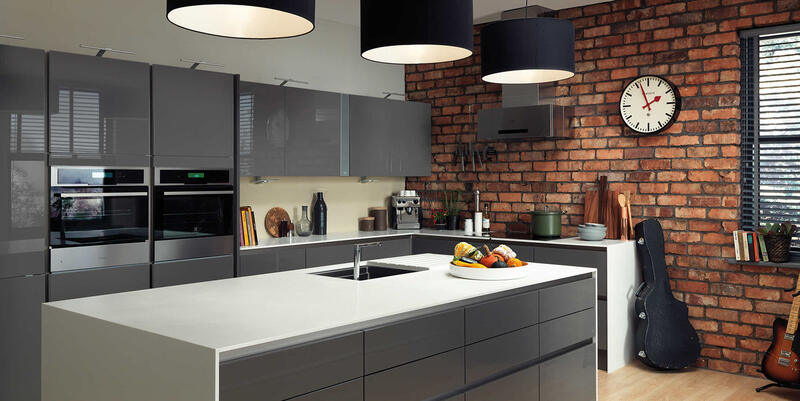 Brand names include Caesar Stone, Silestone, Xstone and Tomstone just to name a few. Just ask your sales representative about our selections and a free quote. This email is long overdue! I was just going through my kitchen reno receipts and found your quote from May. I think your installers came in August to install the new doors and reface the rest. They did a fantastic job! They were very professional, friendly and left no mess behind. It was all done before 1pm and it looks fabulous. What a change! Amazing. I have not one complaint and will be happy to recommend your service to anyone. And I want to thank you for the suggestion to do the cabinets two-toned, light on top and dark on the bottom – I really like it a lot. You know your stuff??. I highly recommend. They did a fantastic job refacing our cabinets. The installers take great pride in their work and they met all expectations! Working with Cabbinova Kitchens was great! Joe was always available to answer my questions and address issues right away. We are SO happy with our result. We knew it would look good but it exceeded our expectations! Worth every penny!!!! My husband and I are newbies when it comes to any sort of renovation and working with Joe at Cabinnova Kitchens really put our minds at ease. He is quick to respond, personable, has excellent selections, and the quality of his team’s work is excellent. Our kitchen is about 10’x10′ and they got the work done in 2.5 days. With a new baby in the home too, we had very little disruption to our everyday life. What also stood out for us was that we found a cabinet colour that his main supplier did not carry and he sourced it for us so that we could have the exact kitchen that we wanted and kept the entire job within our budget. He and his contract team are very professional and demonstrate integrity working with their clients. Their newly added services also included refacing fireplaces so we worked with them on this too and we’re so in love with our place. We are so pleased with the outcome of both renos and our place really feels like home now. We would definitely recommend Cabinnova. I am VERY happy with the final outcome, thank you! I love the color and the whole look is fantastic!! For sure, I will be pleased to share my comments/experience.